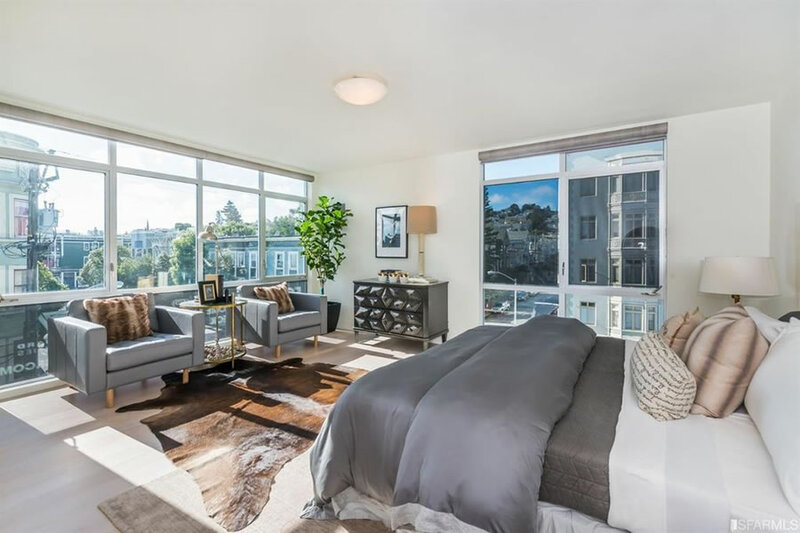 Having been withdrawn from the MLS in August and quietly de-stagged, we missed it when the Inner Mission penthouse unit #504 at 3590 20th and Valencia (a.k.a. the “V20” building) closed escrow with a contract price of $2.239 million or roughly $1,236 per square foot in early October. 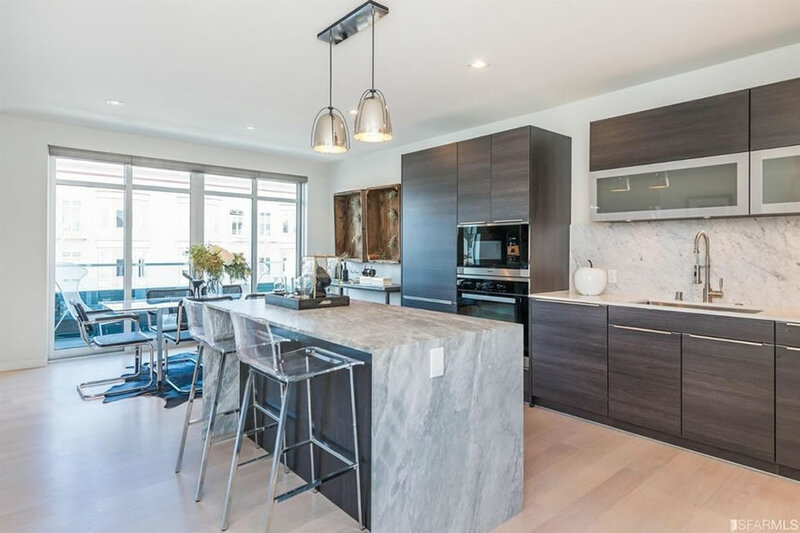 But as we had noted when the 3-bedroom unit with balconies, city views, a private roof deck and a dedicated parking spot below was still listed for sale last year, the seller of the condo had purchased the unit for $2.595 million ($1,433 per square foot) in July of 2015. 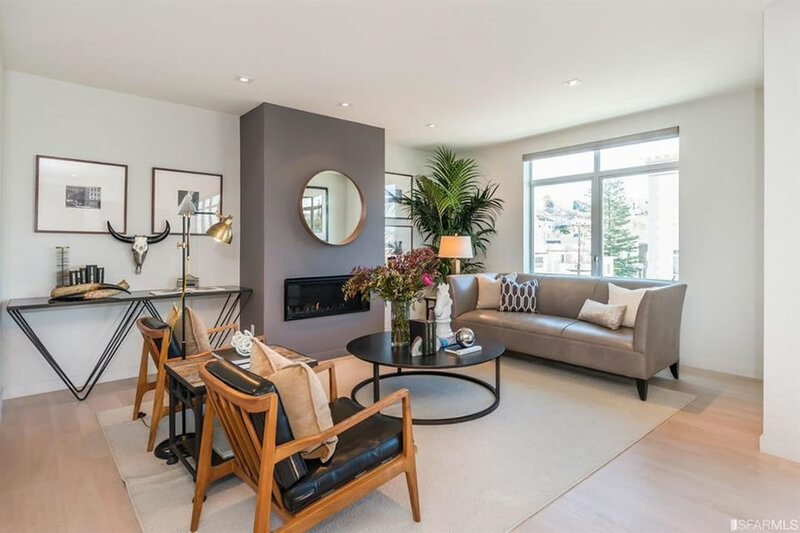 As such, the October sale represented total depreciation of 13.7 percent for the three-bedroom condo “in [the] coveted Inner Mission” since mid-2015 on an apples-to-apples basis. 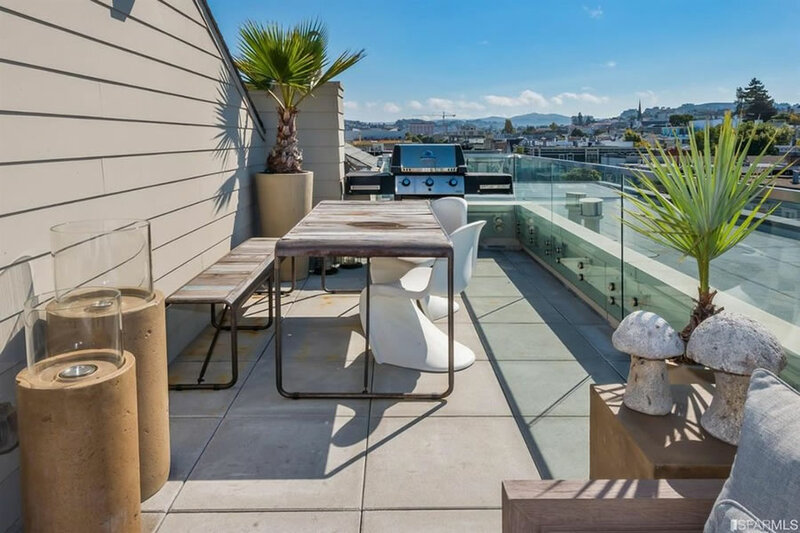 At the same time, the adjacent penthouse unit #505 is now on the market and listed as “the ultimate luxury living in the best part of the Mission” for $2.349 million ($1,277 per square foot) having been purchased for $2.595 million ($1,411 per foot) in mid-2015 as well. Noise, dirt, drug abusers and mentally ill at your door step, but there are some hip restaurants just foot steps away. Not to mention the curb appeal of a Sutter Health Clinic on the ground floor. I’m all in. The City has chosen to close its eyes on drug usage along the corridor it seems. People just take the drugs casually on the street as if it’s legal and with no regards to law. Unfortunately we can’t shield children who see this as a norm and have to be careful walking dogs along such streets as you don’t know when the dog may step on one of the needles. They need rehabilitation and if they don’t agree force them to do it. Some tough love is needed! I walk past here daily. There is not rampant drug use on this corner. You must be thinking of Mission Street. Curious, why is it better for drug abuse to be done out of sight as you’re implying? If the opioid crisis has taught us anything, it’s that cities don’t have the monopoly on drug abuse. Even if everything you say is true, which they are not, it’s certainly not worse today than it has been in the past. Also, I don’t think parents with school-age children are the target demographic here. More like young parents with toddlers who are not going to be crawling around on city sidewalks to begin with. I used to live around here. I’ve never seen needles. Maybe a couple of schizophrenic homeless folks (don’t think you can assume drug use), and a lot of regular folks getting hammered on weekends. May be you need to walk more to see what I am talking about. Not sure where toddlers came into picture. Mission isn’t that far from Valencia. Addiction is an illness and should be treated as such. Call me a horrible person, but no, I do not want to see the following on the streets of San Francisco: 1. people using and shooting hard drugs 2. people urinating and defecating on the street 3. people sleeping, camping and habitually panhandling on the street. What I do want: 1. The BoS to stay focused on the most important issues facing our City in an organized way, 2. The BoS to stop getting distracted by all the little crap that they think will earn them some votes 3.For the tax payers to hold the BoS accountable. What most of us do: Collectively pay $300 million+ a year to the City Government to hire professionals who can help the mentally ill and substance abusers that live on our street and are sucking the life out of our City. What most of us do not do: Hold our City Government accountable for the results that are produced or not produced when spending that $300 million. It’s a nice building, and a nicer unit. The sale price is definitely soft, and a great deal for the current buyer. Where’s the stove? I see an oven and a microwave, but no stove? It’s that flat dark thing under the vent hood. Got it. That 3″ or so space between the oven and the microwave through me off. It’s straight ahead in first photo… under the hood vent. Looks like it might be electric with surface controls, hence not very visible. It’s an example, even at reduced asking, of how little one gets in SF. I believe more and more people are realizing that and adjusting their strategies. For comparison – 125 Greenwich which has a frequent pop-up ad here on SS. A new super-tall condo in the “new downtown” on Manhattan Island. Very near the subway, the ferry and expanses of green. Art galleries, boutique shops and a myriad of restaurants. A 2/2.5 with 1300 square feet is asking 3.2 million. People who follow the SS real estate pop-ups as I do and see places like 125 Greenwich (still under construction) are bound to think twice about paying such high prices for SF condos. To be clear, the $350K “reduction” wasn’t related to an “asking price” but rather an apples-to-apples drop in actual value. 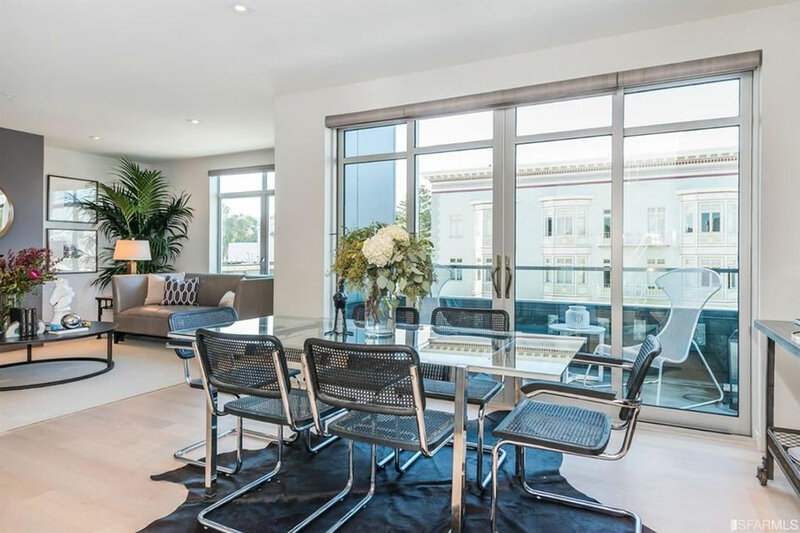 And while the NYC unit you’re referencing as an example of “how little one gets in SF” on a relative basis is priced at $2,462 per square foot, the Mission District penthouse above just sold for $1,236 per foot, down from $1,433 per foot in 2015. True about price per square foot. The lowest I saw in the Greenwich tower was $1900/square foot. Keep in mind too that they paid 1443/sq foot for this place in 2015 – what would that be in today’s dollars? Bottom line – the differential is less than one would expect given the buildings and the locations. Beyond the above, San Francisco has absolutely no equivalent location to the Greenwich tower. it is truly one of a kind in the world. That is not a ding at SF – Seattle, Portland and LA have no such premier location. 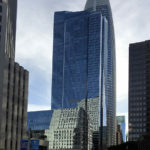 It will be interesting to see what the price per square foot is for the 181 Fremont condos. That location, despite being in the TTC, is no downtown Manhattan. . Even taking a 3% inflation rate, that’s only about $1550 sq/ft. To socketsite’s point, that’s a difference of almost $400 sq/ft, or at 1800 sq/ft, an additional $700k. For an additional 700k, you could really deck out this apartment. Sure Dave, Manhattan is better than SF. I especially enjoy the summers and winters there…sure beats the crap weather we are having here in January! Sure nyc has lots going on. But SF does too, and is much more livable year round, prettier area, more accessible to water/mountains, and besides, the best jobs are now here. Tech has been beating out financing for the best and brightest graduates the last few years. SF is numero uno! Comparing NYC values to SF values is pretty bizarre. Having recently lived in both cities, the value for your money in SF is far beyond what you get in Manhattan. I mean, it isn’t even close. Most people in San Francisco would be horrified to see typical New York apartments. 125 Greenwich is an especially weird choice for comparison. 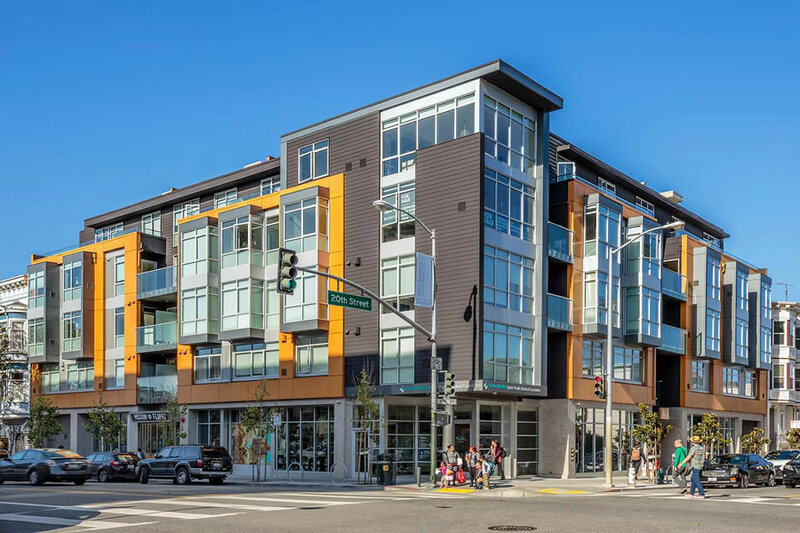 The unit in the mission is in one of the most interesting neighborhoods in the entire country–I lived just a block away and it was one of the most special places I’ve ever spent time in. 125 Greenwich is in one of the most bland and unpleasant parts of lower Manhattan. Aside from a couple of law firms, a large NYPD facility that looks like a combat outpost, and a strangely placed W Hotel, that immediate area is as bland as it gets in the city. They key point about these fallen apples is not that they represent the fall of the Republic, but rather the crossing of the Rubicon. Some people here like to argue against a straw-man that these fallen apples represent the current average of the wider bay area region. When in fact no one is saying anything of the sort. But instead all trends have to start somewhere and it is a tautology that individual data points lead the averages. And many indices such as Case-Shiller are months old trailing averages. 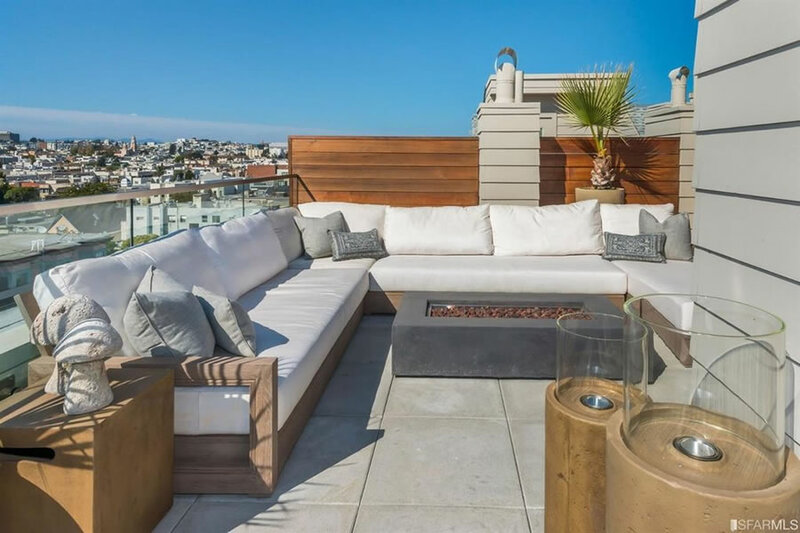 But it wasn’t too long ago that the ‘endless summer’/’this time it’s different’ crew postulated that sellers in SF would never capitulate and that they were plenty of ‘buyers waiting on the sidelines’ that would ensure the continues upward trajectory of prices. But these sales prove that prices can and have dropped in SF. The Rubicon has been crossed and it is no longer a question of can prices drop, but rather how many prices have dropped yet. And keep in mind that these price drops happened back when the stock market was at an all time high and with no major tech fallout yet. If you claim that your house can withstand any storm and the windows and doors start blowing open with a cool summer breeze, you should be very worried about what will happen when the true foul weather hits!! It’s only a straw man if no one has floated that argument. ‘anon’ literally declared that anyone waiting for 2016/2015 pricing was out of luck and the editor linked to a apparently infamous posted who declared that scare tactics were dead and prices in SF would never/have never declined. And remember that the readership of a niche RE site such as SS is not even representative of the larger population. People here have been tracking the leading indications of a market turn for a while, but look at a more general interest site such as Quora and you’ll see that the question of price declines is just now being broached. In the long run these will appreciate. Valencia in in a weird patch right now. Not very settled in some respects and some very loud and tacky (bottle service and pot smoke and poor tattoo judgement) clubs. But I think that will eventually change. I think that prices will stay high in the Mission for as long as there at 20 and 30 somethings earning a lot of cash. Once you age out of the club scene, if you are still staying in the City, the Mission is not where you stay. 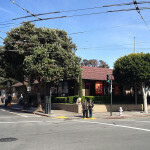 In a downturn the best RE will hold its value and the Mission is not the best RE in town, IMO. If you own in the Mission, better time it right. I disagree. More high earning couples and families are buying in the mish, planning to live here long term. 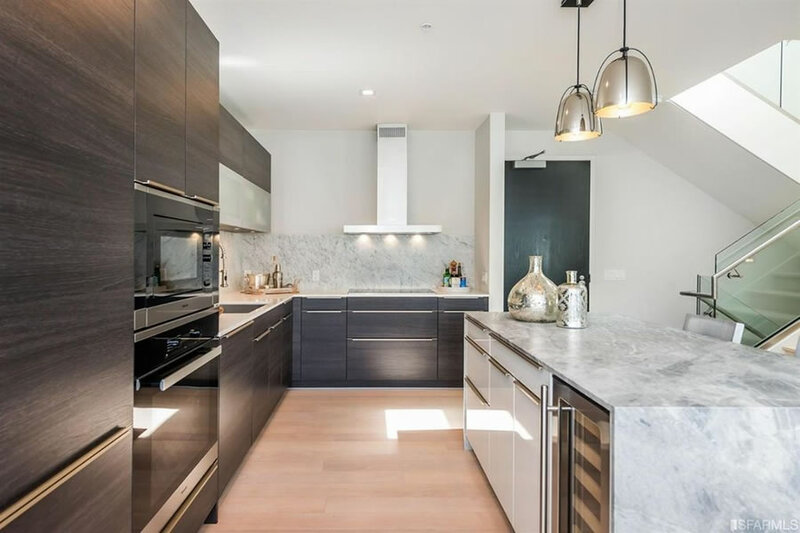 Which brings us back to the topic at hand, a real 13.7 percent drop in value for a V20 penthouse and another sub-2015 list price for the unit next door. 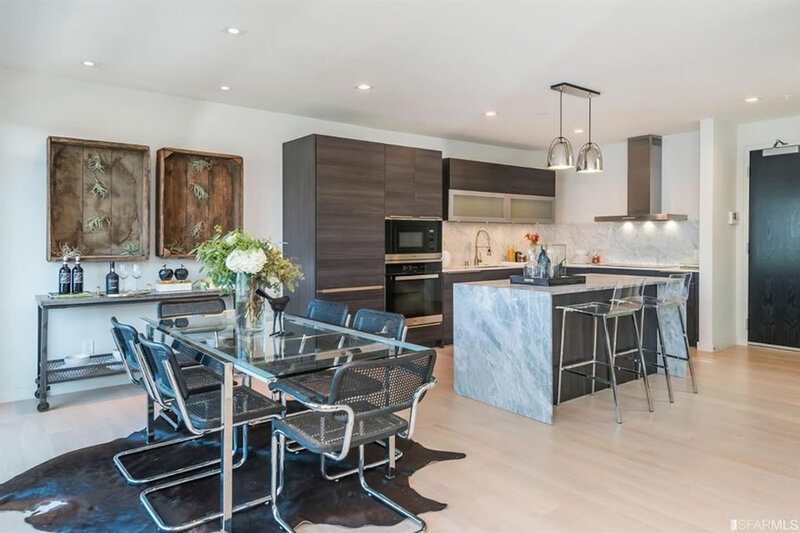 While at the same time, the single-family Mission District home at 864 Florida is still seeking a buyer willing to pay the price it fetched in 2015 while 948 Hampshire has resold for 16 percent less (despite all those “high earning couples and families…buying in the mish”). What does “despite high earning…” have to do with price drops? It’s not low earners buying these places. On the contrary, if they overpaid in 2015 they’re more inclined to ride out the dip and stay here longer. Yes. The vaunted “Mission Club Scene,” where disco dancing, go-go girls, and bottle service will not stop. There are lots of families in the Mission and lots of good reasons for families to want to be in the Mission (including, housing stock that includes a fair number of SFRs and large duplexes). That doesn’t mean that prices can’t go down; it is just that this area has definitely turned the corner awhile ago and will remain appealing. Dev did a fine job hyping this bldg up in 2015 and got north of $1400 PSF, which was rich back then. 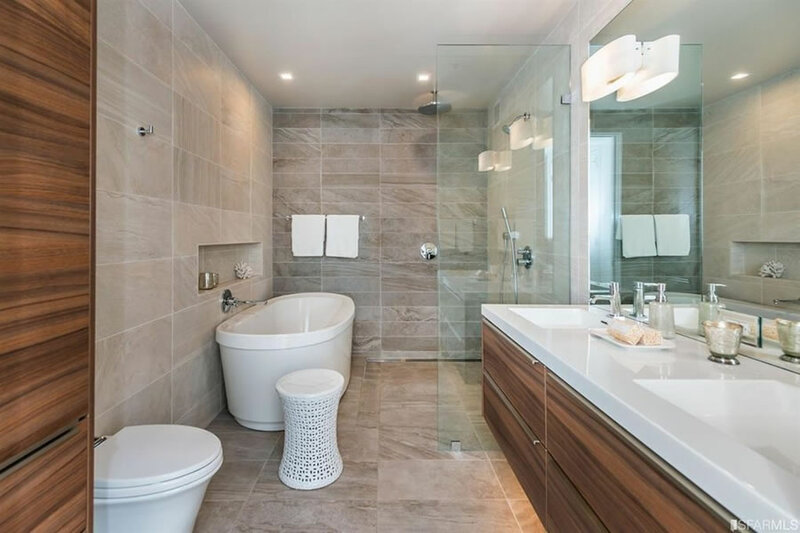 Couple other mish condo projects followed suit, selling 1300-1400. But most other props sold in 2015 either appreciated modestly, or are pretty flat today. Moral of the story: be careful paying hyped prices for shiny new buildings when the market is hot. For everyone else who brought in the mish: Big whoop. You would think that in a penthouse they would have put in a kitchen that looks like it belongs in a penthouse and not in a studio. Virtually no cabinet space, limited counter space, and budget electric appliances… That right there would be a deal-breaker for me.